If you’re the owner of a Samsung Galaxy 4, an iPhone 4s, or any newer smartphone, congratulations are in order: your phone is equipped with an HDR setting which can improve your photography skills in a big way, lending shots greater clarity and drama. Food looks more delicious, natural light appears more majestic, shadowy shots are more striking. Short for High Dynamic Range, HDR improves exposure (the amount of light versus dark in your shot) by actually snapping a series of images. By combining the best of an overexposed, underexposed, and balanced shot, the HDR result can often be a professional quality photo. Read on for tips on using HDR for capturing stunning photos on your Android or iPhone. Close-ups of food, faces, and objects are ideal for HDR, as HDR images tend to look crisper and more detailed. Outdoor portraits, like landscapes and sunsets, also look extra beautiful when HDR is on. And because HDR balances dark and bright, taking an HDR image in dim light (without flash) is preferable to taking your chances with the normal setting. 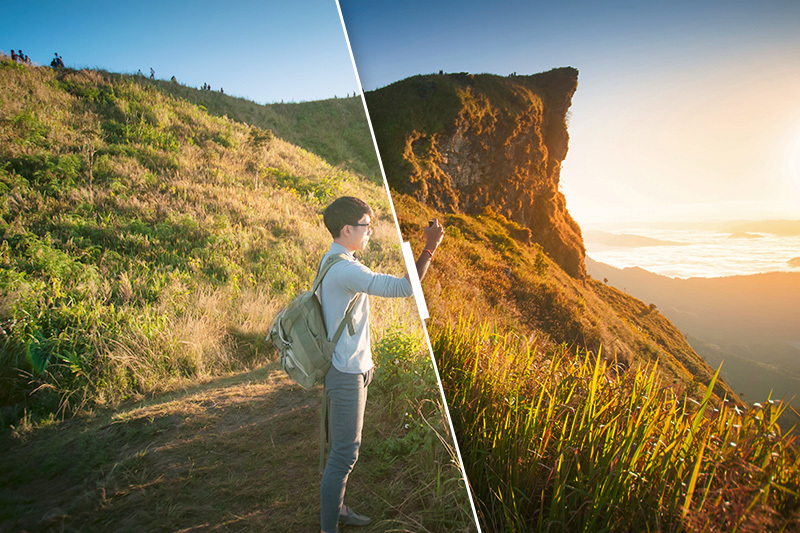 When the HDR option is enabled, your smartphone will automatically take an HDR photo—no further commands are necessary. However, it does take a little longer to save the HDR image than normal, as it takes a little time to capture three separate images at different exposures. With that in mind, it’s important to hold your phone as still as possible, or place it on a stationary object beforehand. Because it requires a little more time, taking quick, successive snaps with the HDR setting on is probably not a good idea. Also, leave it off when you’re trying to capture a moving image. You’ll also want to refrain when shooting in direct sunlight or near a bright window, as some more vivid hues will wind up looking faded. Once you’ve learned how to get the most out of your HDR setting, you might find yourself wishing for greater HDR capacity. Your smartphone’s built-in HDR setting might even be considered relatively weak among professional photographer types. For those looking for a more powerful (and complex) HDR capacity, you might want to consider an app such as Pro HDR X app for iPhone ($2) or HDR Camera+ for Android ($2).